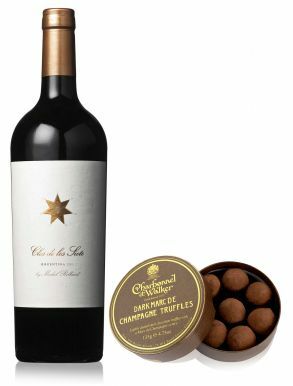 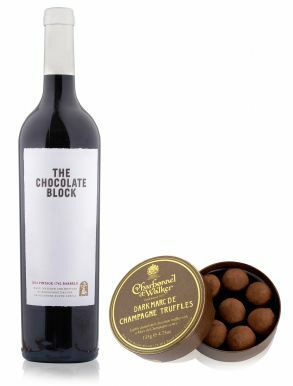 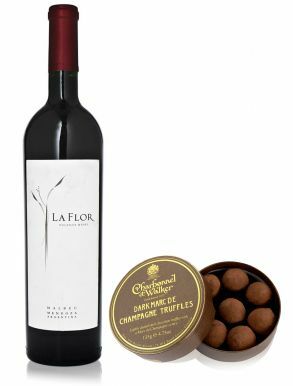 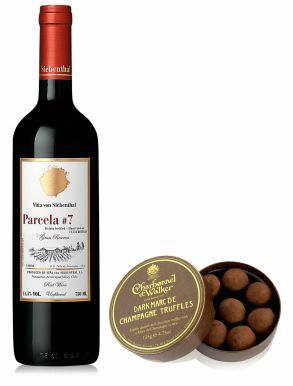 Paired especially for their deliciousness with Chocolate, we have selected a few wines for you to serve with the deliciously mouth watering Dark Marc de Champagne Chocolate Truffles by Charbonnel & Walker. 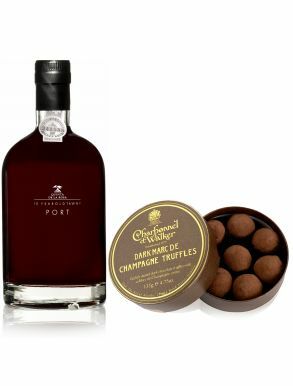 Charbonnel et Walker Champagne truffles carry the Royal Warrant as suppliers to the Queen and are world famous for their champagne truffles presented in beautifully packaged round boxes. 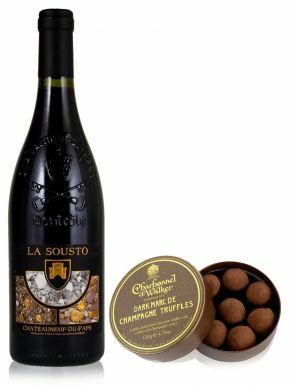 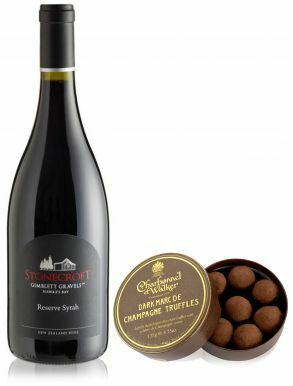 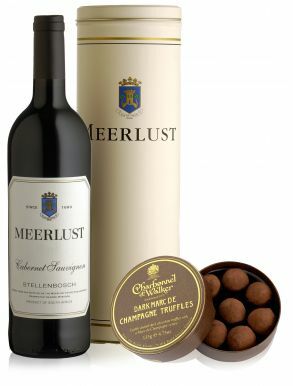 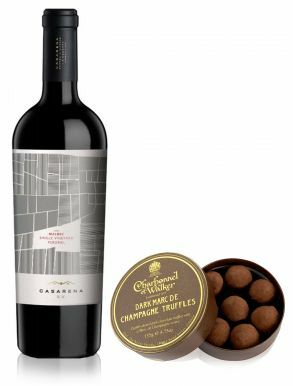 A bottle of a full bodied, red wine or port with dark chocolate truffles, dusted with cocoa, is perfect for wine and chocolate lovers or as an after-dinner gift!